Anakin Skywalker feels it, too. The Separatist Alliance, with ruthlessness and treachery, is beating the Republic to every strategic target. 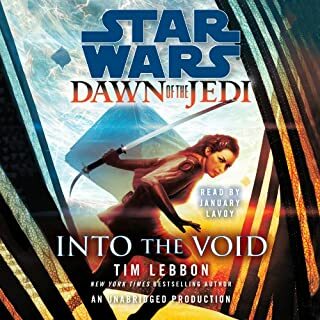 But after a costly clash with General Grievous for the planet Kothlis, Anakin has a mission that will focus his anxious mind. Alongside Obi-Wan Kenobi, he is posing as a long-lost native of Lanteeb, an impoverished world on the Outer Rim. 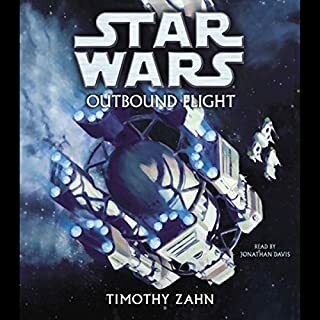 This seemingly unimportant planet has drawn the interest of the Sepsand Anakin and Obi-Wan soon discover the disturbing reason: A scientist enslaved by General Lok Durd is drawing on Lanteebs one natural resource for a devastating bioweapon. Now Anakin and Obi-Wan have entered the eye of a storm. 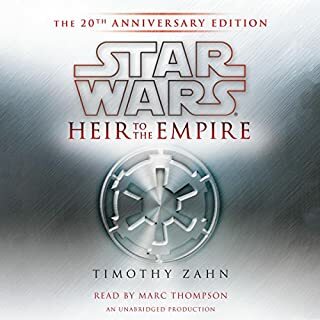 Their presence has been exposed, Lok Durds plans unveiled, and a fight has begun for survival behind enemy linesand a chance of winning a war that must be fought at any cost. More in the Clone Wars series we have. And listen to all of our Star Wars titles you can! 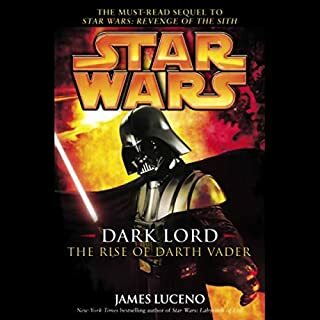 I don't know why people are complaing, this was a great book to listen to. 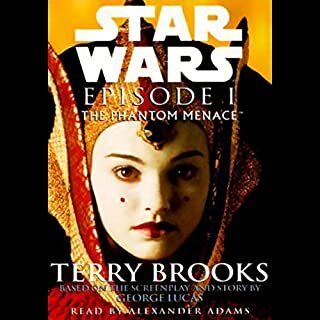 This series gives a lot of insight to Kenobi and Skywalker. 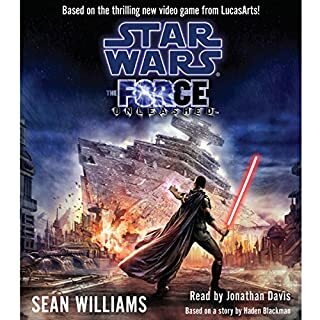 I don't think Anakin's miraculous machine skills are overdone in this book, it's emphasized in many other books the great command he has over machines and karen miller just puts his skills to use in the book. This is only half of the story of Clone Wars Gambit. 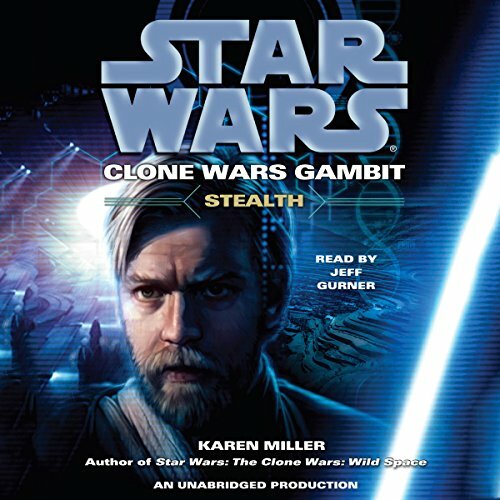 The whole story consist of Clone Wars Gambit: Stealth and Clone Wars Gambit: Siege. It's really a long mission. 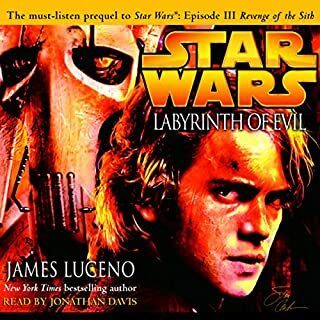 This is a fun listen for anyone who wants to see more of Obi-wan and Anakin's relationship. It gives you real good insight of their toughts and emotions, which are not always those you'd expect. I listen to a lot of audio books because of the amount of time I spend on the road. 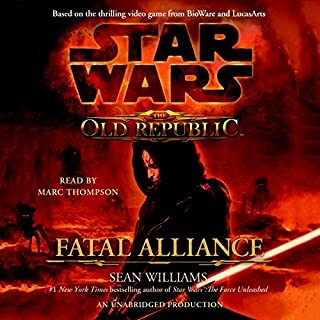 I have enjoyed the fate of the Jedi unabridged series so much I thought I would give the clone war series a try. 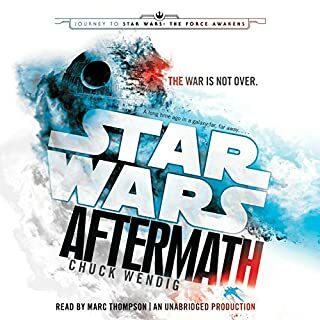 The storyline is good but the dialog between characters especially the Jedi are so hard to listen to sometimes I had to cut it off. Other than that if you are a star wars fan and have a free credit it’s not a bad choice.... if you have already listened to everything else. I enjoyed the story, I looking forward to the continuation. I am wanting to see how it ends..
There’s was almost zero action. There were two brief action sequences. One in the beginning and one in the VERY end. 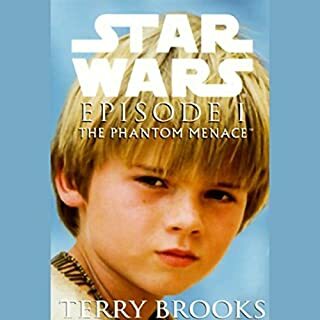 The rest of the book was all boring conversations and arguments between Obi-Wan and Anakin. I couldn’t believe it. Be warned. 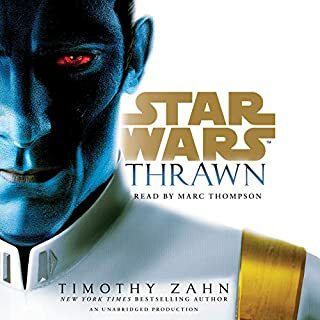 Loved this story from start to finish they did an excellent job capturing the death and vibe The Clone Wars TV show gave me. Loved the story and voices. 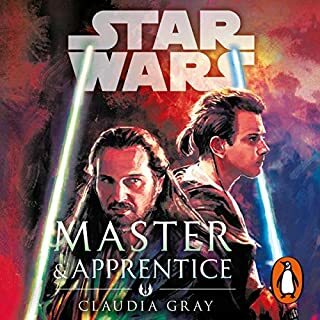 Interesting perspectives on Obi-Wan and Anakin's partnership and personal struggles.